A couple times in the 2009 IBR my trusty GPS routed me down roads I would not normally want to ride. 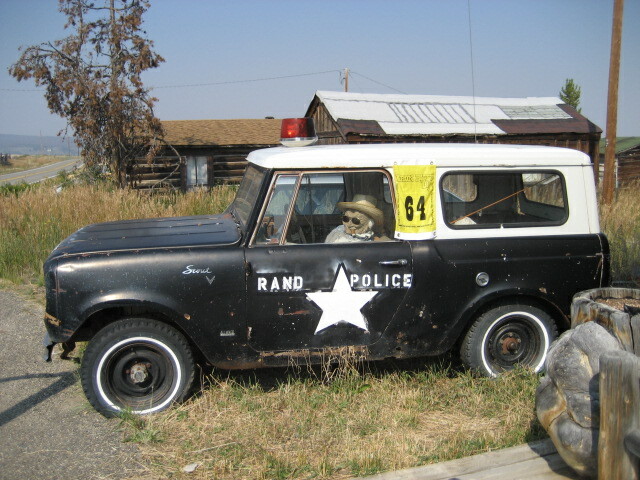 One of the skullduggeries was when I was headed for the police car in Rand, CO. I was riding east on I-70 headed for the police car bonus in Rand, CO and the GPS had me turn north on hwy 131 and then on to Trough Rd ( also known as County Rd 1 ). Hwy 131 was a good paved two lane road but when I can to the intersection for hwy 131 and Trough Rd the road turned to gravel. I was a little surprised and not happy as I was trying to make good time and the wing and I don’t really like gravel roads. I first thought about turning around and taking a different route but I thought to myself how long could this gravel last, I mean the GPS routed me on this road so it had to be good right. J Well after riding five miles on the road it started to turn to lose gravel and had some deep ruts where cars and trucks had been traveling and there was a berm in the middle of the road where the road had been graded. So needless to say I was only riding about 35+ mph and losing lots of time. I thought to myself, I am a LD rider in the IBR and its only gravel so keep going. I had already lost five hours two days before do to a mechanical breakdown so I did not want to turn around and lose more time trying to find a different route. Also I was thinking, how far can this go, well it turned out to be about 30 miles of gravel road and I lost a good amount of time riding slow so that I did not spill the beans. J Eventually the road merged with a paved road and I made it to the bonus. I was really glad I finally got back on to pavement. 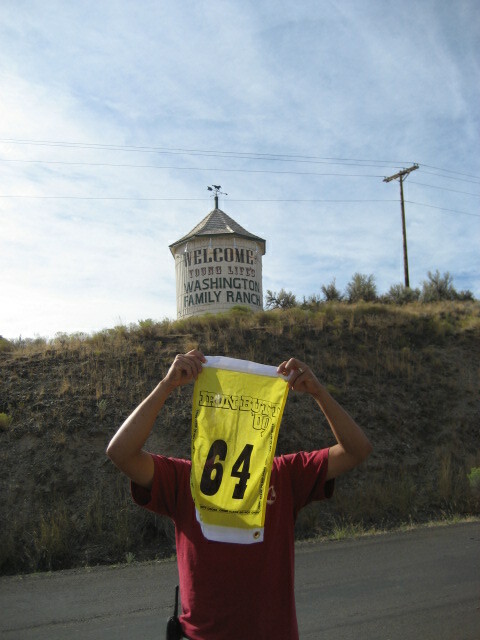 Another skullduggery was when I was headed for the Young Life Ranch bonus in Antelope, Oregon. This was a daylight only bonus and I was coming in from the east at night as I had just been to Cactus Pete's Hotel & Casino bonus. I was getting close to the Young Life Ranch bonus as I was about 40 miles away and I turned onto the road that the GPS had me routed on. After about two miles the road turned into sand and it was hard riding at night. It was around 3:00 am so I stopped and looked at the GPS to be sure I was on the right road, I did not want to go down in the middle of nowhere in the middle of the night. I checked the GPS for an alternative route and found this was the shortest route and the only other route added about 100 miles to the bonus. I rode a little farther and decided to turn back and try and find somewhere to get some rest until daylight and then attempt the road again. I road back to a small town called Mitchell and looked for a hotel or some place I could sleep for a few hours. After a little while I found out there was no hotel for over 50 miles so I really needed to find a place here. I did not want to ride 50 miles away and then 50 miles back so I looked around to see if there was a place I could lay down and get some sleep. After a lot of riding around trying to find a good resting place including the Post Office and other places I finally found a picnic table in front of a small store near Mitchell, OR on US 26. I parked the wing and tried to get some sleep hoping not to disturb anyone in the houses nearby. This did not go very well and eventually the sun started to come up and I gave up on getting any rest. So I geared up and I followed the GPS back to the road that was not really a road. I headed down the small sand road again and soon the sand got softer and the wing was really digging in to the point I was almost dog paddling to make any forward progress. I did this for about five miles ( yea, I don’t like to give up easy ) and was so tired, hot and sweating that I stopped and reviewed my options again. I just did not want to blow off this bonus as it was a 3874 point bonus. After a few minutes of catching my breath I decided to take the long way around and try and score the bonus. I could not believe the GPS really was routing me down this “road” or that it even showed up on the maps as it was far from a road and not passable except for four wheel drive vehicles. I made it to the Young Life Ranch bonus eventually and got a good photo. The last few miles to the bonus was a narrow winding road over some small hills and I noticed a few motorcycle parts scattered on and near the road so I guess others had a hard time getting to the bonus also. When I got to the finish checkpoint I heard some say they could not get there so they took a couple photos of the road and headed for the next bonus. I was glad I was persistent and finally made it to the bonus.